The province has a wealth of water, being the site of four of the five 'Great Lakes' of North America, as well as the mighty St Lawrence and Ottawa Rivers and about 200,000 inland lakes. Last, but by no means least, in the far south is the most famous water spectacle of all, Niagara Falls. The Provence of Ontario is located in east-central Canada and is the country’s most populated Provence. A nature-lovers paradise, Ontario is blessed with a natural setting of lakes, rivers and forests to explore. This vast Province is home also to lively and modern cities offering an exciting choice of galleries, museums and restaurants to visit. There are no direct flights to Ontario; however flights from the UK to Ontario are available with a short transit via America through airlines such as United Airlines, American Airlines and Continental Airlines. Toronto is the capital of Ontario and Canada’s biggest city. 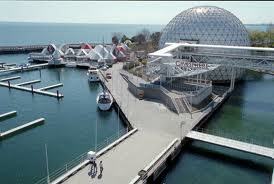 It has an enviable location standing on the north shore of Lake Ontario. You can’t miss the CN Tower, one of the world’s tallest buildings, offering fantastic views of the city and lakes beyond. If you are travelling with children, you won’t want to miss Toronto Zoo which has a collection of over 5,000 animals and beautiful landscaped gardens to enjoy. Ontario is also where you will find Ottawa, Canada’s capital city, with its large selection of state of the art museums, such as the Museum of Civilisation, documenting 1,000 years of Canadian history. Also worth a visit are some of Ontario’s magnificent art galleries including the National Gallery of Canada and Ottawa art gallery. Moving on from the cities, there are some excellent national parks, from the arctic Hudson Bay in the north to the Great Lakes in the south and, of course, no visit to Ontario would be complete without a visit to the famous Niagara Falls. You can explore this natural wonder by boat, buses, cable car and even helicopter rides. Either way, a visit to these dramatic waterfalls will be truly memorable. Our competitive prices at Directflights.com means we can offer you the cheapest flights to Ontario, Canada, whether you are booking in advance or looking at lastminute flights to Ontario, Canada. For the best deals on cheap flights to Ontario, Canada try to avoid travelling during busy times of the year such as over Christmas and the school holidays. 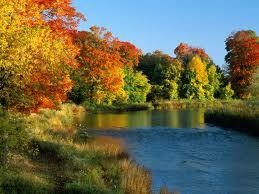 The climate of Ontario is continental and the province experiences hot summers and very cold winters with snowfall. Spring and autumn tend to be milder, and due to the Great Lakes, the province experiences far less of a variation in its temperatures year round, as well as more precipitation than would be expected for such a central region. Cities futher aweay from the Lakes in the south of the province are much hotter and temperatures can range in the upper 80s Fahrenheit, with possible heat waves. In winter, areas north of the Great Lakes tend to be much colder, with more severe winters caused by Arctic air currents and temperatures can range between 36°F and 14°F. Fortunately the major cities are geared for the cold with indoor shopping arcades, underground walkways and indoor sports venues.